So mum, Donna, and I spent most of Day 2 watching the MCU in chronological order. We've only managed to finish up to Captain America: The First Avenger, but I'm sure we'll do better on Day 3. We've also put away an appalling amount of cheese and cold cuts. Ugh. 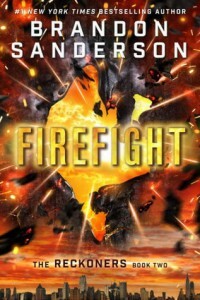 I finished The Just City at 7AM, completely unable to let it go until I'd completed it, and then stumbled through Firefight in between films. I've got a mini-reading list for popecation, and I figure that I'll get through it well enough, especially at the rate I'm going. It's 4AM now on Day 3, and I've got Marina's Froot on repeat because I'm still a bit jazzed from the innumerable (fine, 3 of coffee and 2 of tea) cups of caffeine I consumed this evening. A bit weaksauce, but hey. Going to bed directly after I finish typing this because we've got more of the MCU to go through tomorrow. 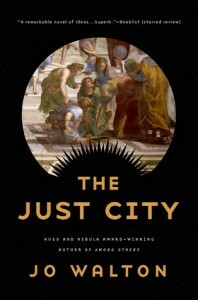 The Just City (Thessaly #1) by Jo Walton is amazing. While her prose has never been as flashy as other writer's, the concepts are always golden, and this novel is no exception. It hecked me up. Like I said, I couldn't put it down and ended up finishing it at 7AM. I was floored by it. 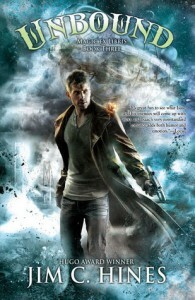 I admit that much of the elements in the story are totally things that I'm biased towards, my ~aesthetic~ so to speak, but I think that very few authors would be able to balance time travel, Greek divinities, philosophy, AIs, and utopian experiments (and so much more, I am holding so much back) with such care and empathy. I'm really glad that the next novel is coming out in June of this year, but the third novel hasn't got a release date yet and I don't know how I will carry on??? I am so affected by this book that I can barely hold it together for this silly paragraph. I can't wait until I get people to read this and discuss! it! with! me! Also, I'd just like to warn you all that there is non-con in this book. It's not gratuitous non-con, and the idea of volition and consent are very important themes in the story and the development of the cast of characters, so I hope that that won't dissuade you from reading it.